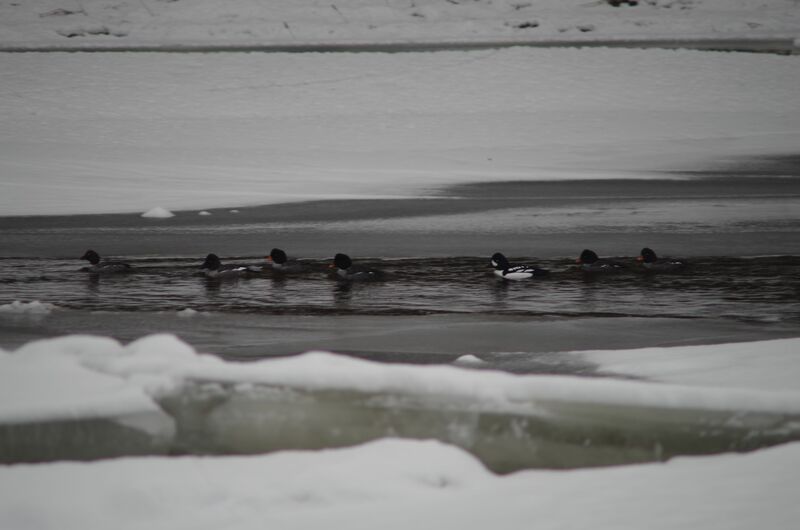 April has turned to May, and the goldeneye ducks have left their winter home on the Penobscot River and headed north to Canada for the breeding season. They are a highlight of winter, and a curiosity in that they seem to like one particular reach of the river. I was watching and thinking about the goldeneyes a lot in 2013-2014, when the transport of oil by rail across North America accelerated, including the deadly disaster at Lac Megantic. “The New Diving Duck Blues“, a lyric essay published in the Spring 2018 issue of Cold Mountain Review, relies on the rhythm and language of freight trains to tell the linked stories of oil, rivers, and birds.